Free underground heated parking in building and free parking at Impark Lot adjacent to building. Street parking free after 6:00 pm. 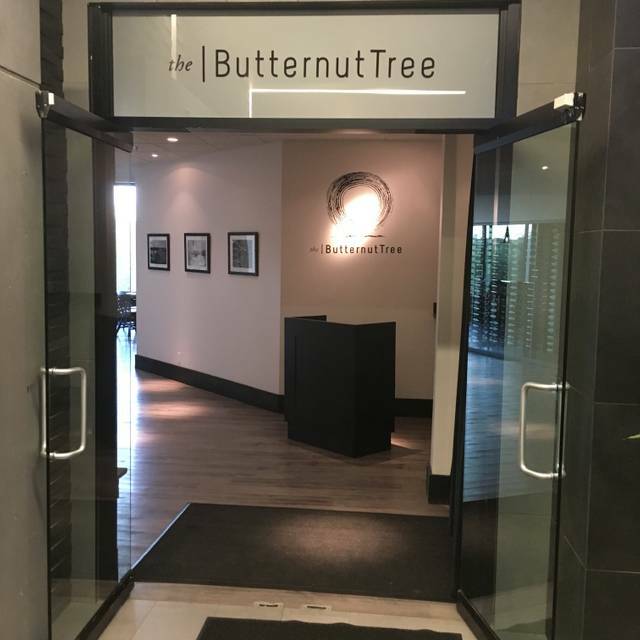 The Butternut Tree is the perfect place to host your next group gathering. 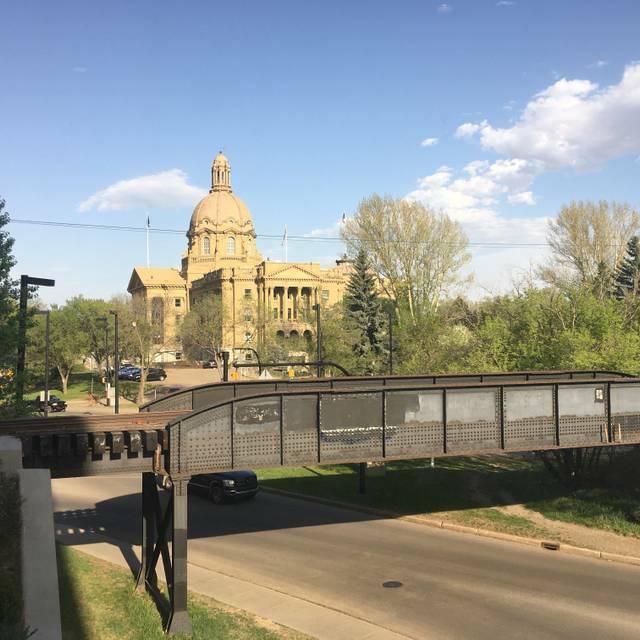 From our private dining room that seats up to 12 guests to booking out the entire space with panoramic views of the Alberta legislature and river valley. 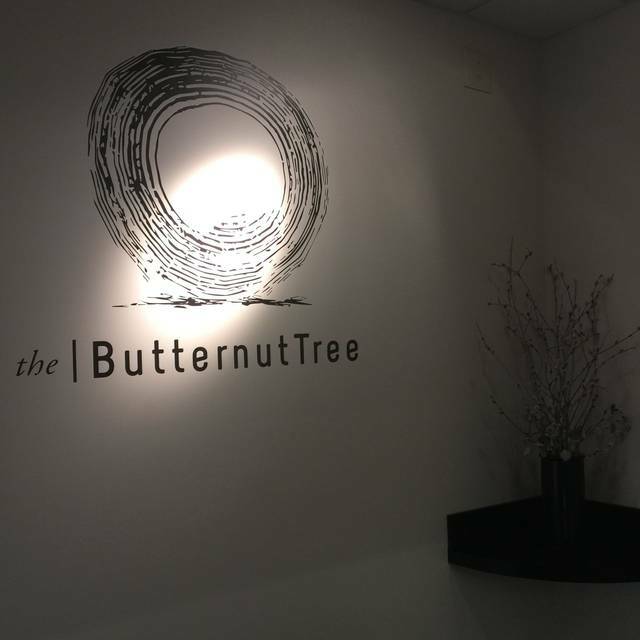 For more information about full restaurant book outs for weddings and events please email info&#64;thebutternuttree.ca for our events package. Join us for Fathers Day brunch! Amazing, thoughtful food experience. Service was excellent and cocktails were spectacular. Will definitely be back! Our waiter was incredible. Very sharp both in knowledge and humour. Wonderful views of the Legislative building and river parks. The food...totally Canadian and so unique! Elk tartare, moss accentuated dishes, birch syrup, and much more! Highly recommended! Great quality of food and beautiful presentation. Memorable dinner out. One of best dinners I've had in Edmonton. Highly recommend for excellent food and service. Fantastic Service and Delicious Food ! Loved the unique tastes ! Unique ways of preparing local food. Excellent service. Lovely view. 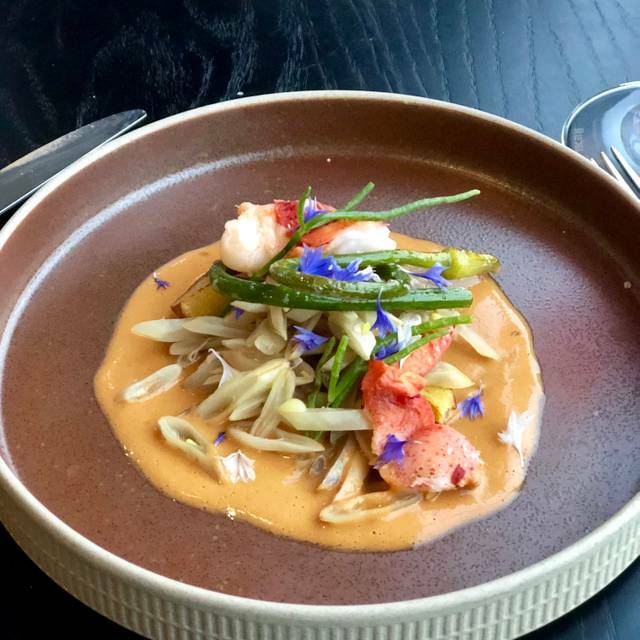 Extraordinary dishes and exceptional service. Looking forward to coming back! Trying out this restaurant was a food experience our family loved. Lots of fun to try Caribou Moss, Fresh Chickweed and more. What a gorgeous spot with all Canadian Spirits, and food and wine. Can't get much better. An exquisitely creative and imaginative menu. A bit pricey but worth every dollar. 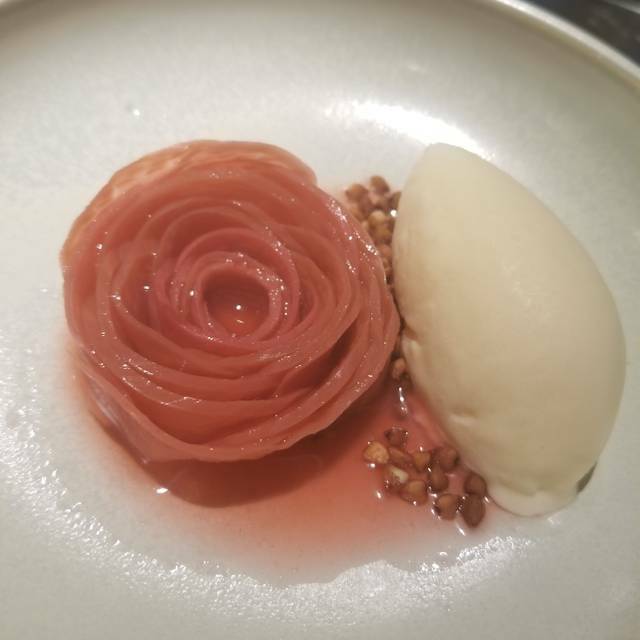 The amuse bouche was an exquisite and unique taste experience. The moss was delightful and I regretted that I did not have more. Steak tartare was among the best I’ve had in Edmonton and the plating was a visual delight. For mains we had the bison and the duo of cow! Both cooked to perfection and the grains accompanying the mains provided a textural and taste contrast. Portions were generous. In fact we were too full to want dessert but we ordered anyway. Not being one who generally enjoys sweets, I found the dessert (sunflower seed praline) a bit too rich and sweet. Thankfully we were sharing because this portion too was generous. We enjoyed our dining experience here , would highly recommend. Beautiful atmosphere, drinks were great and quite creative to the palette. I found the staff to be very knowledgeable regarding the menu. For the appetizer we shared the textures of potato and found it to be quite amazing! I ordered the rabbit (which I had been looking forward to) and my husband had the bison. He quite enjoyed his meal but I did not like mine. I have had rabbit in the past and loved it, but this one found to lack flavor and the texture was a bit on the rubbery side. It came with vegetables and (what the waitress called) a large cabbage roll. The cabbage was firm and on the inside was more rubbery meat all compressed into a large ball, less desirable at an upscale restaurant. So, I did not find that appetizing in the slightest. I enjoyed the vegetables. I did not complain about my meal as that is my personality. For the price we paid, I expected to have an amazing tasting meal. The service started out really good but when we asked for the dessert menu it took about 10 minutes to receive it and about another 10 minutes for the waitress come back to retrieve our order. We were a bit annoyed by this point and asked for the bill instead as there were only 3 options for dessert and nothing really stood out for us. Took another while for her to bring the debit machine and she never did come back to take the machine or thank us for coming. I did a lot of research to pick a fine dining restaurant for my husbands birthday and was very excited about eating here. It was our first time there and I don’t see us going back which is unfortunate. Wow! What a great place for that special occasion. The staff was extra caring and so knowledgeable about all the different foods and drinks we experienced! Foodie heaven! First let me say that this was a birthday outing and, as an novel culinary experience, no one came away disappointed, exactly. We started with an amuse bouche of fried moss and creme fraiche, which set the tone for the meal. Interesting textures, flavours, and ingredients, but very small portions for the price. We followed with the textures of potato, the chicken hearts, and the veal sweetbreads. For mains, we had the rabbit, duck, and pheasant. 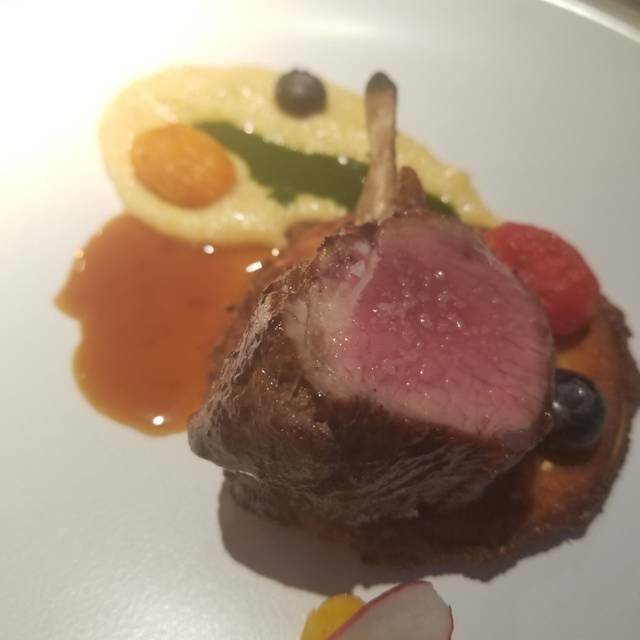 Everything was, we were told, sourced from within Canada, and that's interesting and maybe even laudable, but the overall experience fell a bit short, probably because the portions on all the dishes were so small it made it difficult to share around and really get a feel for these dishes. The servers were attentive, knowledgeable, and helpful. A good experience, but I think I preferred other mostly locally sourced venues, like 12 Acres or Rge Rd. Lovely atmosphere, pretty views. Unique cocktails! The food was very good but not so much that I was stuffed at the end. Highly recommend. Amazing as usual, what a wonderful place to enjoy great food with great company. We had a really lovely Valentine’s dinner here. The portion sizes are perfect, so with 3 courses, we left feeling full and satisfied, but not overly stuffed. I had the tartare to start, which was a really lovely texture. I had the duck for my main, and it was cooked to perfection, with crackling-like crisp skin and tender meat. The accompaniments all worked together well. Service was also outstanding. The hostess is very sweet and professional, taking our coats, and being ready at the door to retrieve our coats when we left. Our server was also very professional and did not miss a beat. Our glasses never emptied, and she made spot-on wine suggestions. The room is beautiful, and I was surprised by how quiet it was, even when the room was full. Every course was a fantastic experience for my tastebuds. Definitely will go again to try the tasting menu. I have nothing but amazing things to say about our night at The Butternut Tree. Our server was so knowledgeable and ensured our meals and drinks were well suited to our preferences. We learned so much about the dishes and the origins of their ingredients, it was so interesting and engaging. The food was incredible, perhaps the most exciting culinary experience we have had in Edmonton. Overall it was a phenomenal evening! Well worth the money to have such an interesting and delicious dining experience. The food was outstanding and above all unique. Drinks were exceptional. One of my favorites spots to go. Can’t beat the atmosphere either. Definitely recommend! The view , food and all was very good. We enjoyed the opportunity to try some new and different menu items. Great staff, great chef, creative cuisine and all Canadian ingredients. 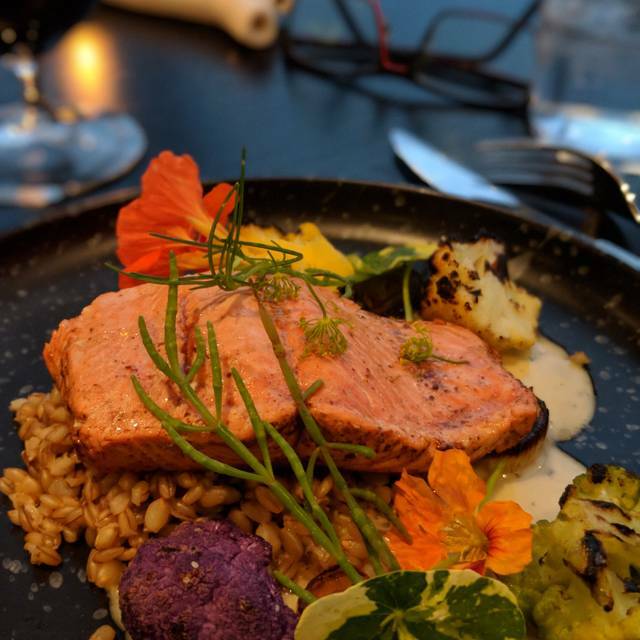 One of the finest meals that I’ve had in Edmonton! Outstanding in all respects! The nite was exceptional, you could even consider it an event. We were there for New Years Eve. The food was a delicious piece of art. The view is spectacular. The servers were knowledgeable, helpful and cheerful. 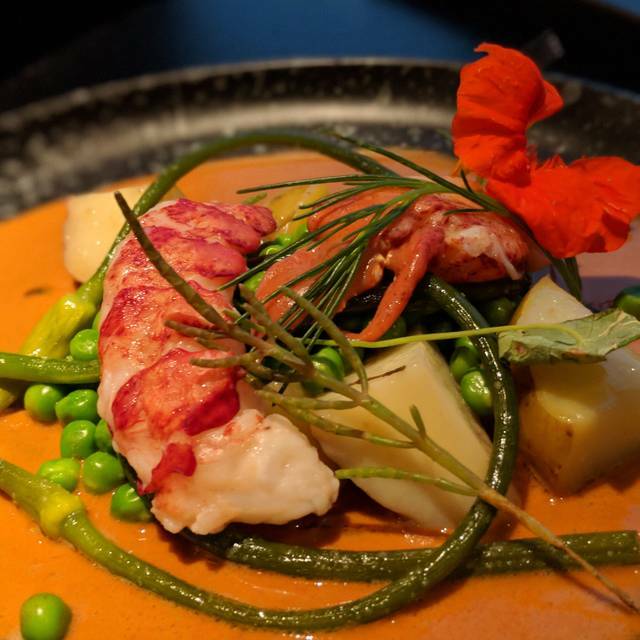 We have experienced many “so called” fine dining experiences in Edmonton. This was bar none the best Edmonton has had to offer in quite some time! I really wanted to love The Butternut Tree. My friend and I chose it for a 'fancy dinner date' that we do occasionally. I will say that the ambience, the views, the presentation of food, and creativity was outstanding and really was unlike anything else. I enjoyed the food a lot, and the meats were superb, but I wasn't especially blown away by anything. That said, I believe everything was cooked and served well, the amount of salt used just wasn't to my taste. The service, however, was awful. It was slow - we didn't get drinks for 10 minutes after arriving, a glass of wine that was ordered for dinner NEVER arrived, and coffee that was ordered with dessert came after the dessert had already been eaten. It was unapologetic - when an incorrect wine was brought, they finally fixed it after I flagged the server down (they never actually come to ask how you're doing) but without any apology and they made me feel like it was a bother that I asked for the correct one. They also gave us the wrong bill at the end, and then when they did bring the correct one it wasn't split how we specifically asked it to be. At that point we wanted to be out of there so badly we didn't even bother to have them correct it; god only knows how long that would have taken. It was without a doubt the most disappointed I've ever been in a $100 meal. I've had better service experiences just about anywhere else I've been, including bars and chain restaurants. It's too bad - my first impression was how lovely it looked and how happy I was we choose The Butternut Tree. It's true that first impressions aren't always right. We went to the Butternut tree to celebrate a birthday. We had the tasting menu with the drink pairing. Everything was so lovely and we loved that all the ingredients were sourced in Canada. I really appreciated the special effort they put in to the dessert for my boyfriends birthday. Enjoyed a fabulous evening here. We had the tasting special with drink pairing. Absolutely amazing food excellently paired with wonderful wines from across the country. The flavours ranged from subtle and delightful to bursting sometimes in the same dish. This place is a gem. Love that they are strictly a Canadian content show case. Will definitely be back. I can’t say enough of this restaurant!! The service is outstanding and the food is unbelievable. I had heard some great reviews of this place so I needed to try it for myself... although I am glad that I tried it, I will likely not be back. For the price paid, I feel as though this was just okay. The venue is great, with a great ambiance, but left feeling underwhelmed. There are definitely better fine dining options in Edmonton that provide a better value. My husband and I had the duck. My husband did not enjoy the bed of squash it was on. Our party had a variety of different things. The lamb looked amazing, a little too red for my liking and I do like rare another one of our party members order the short ribs. He said it was amazing. 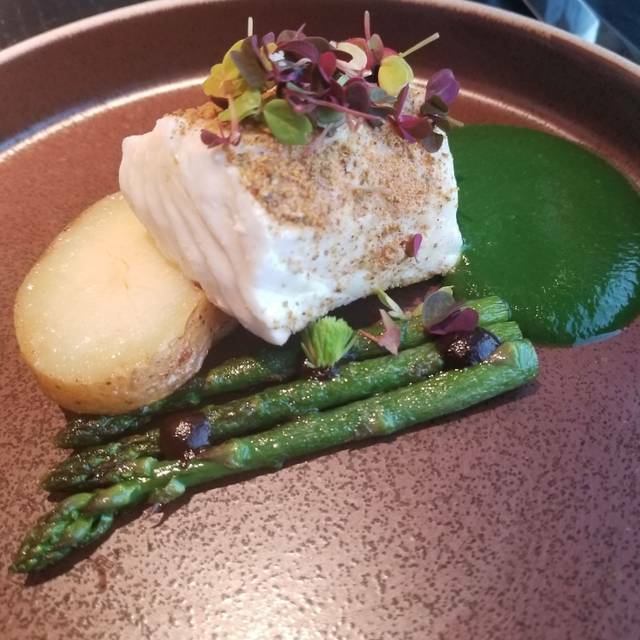 And another was the sablefish which she said was amazing. So overall yes it was “above average”. We are really picky about food. And we want to taste things that would be difficult to make at home, as for the duck. I can make fried potatoes at home and squash at home. But as for the duck as I mentioned before. It was great !! Outstanding experience. Started with lovely cocktails, moved on to appetizers, wine, entrees and desserts. Flavours were complex and delicious with many elements on each plate. Service was attentive and knowledgeable. Our windows overlooked the High Level Bridge and the Legislative Grounds, magically lit with Christmas lights. Cauliflower soup was sublime and a perfect appetizer, however the portion of foie gras was a bit smaller and different than our table's experience in other restaurants, including in France. As for mains, I felt that my duck was wonderfully cooked and I ate every last morsel, but one person in our party found hers to be a bit under cooked and I could see a noticeable difference as to how hers looked versus mine even though we asked for the same preparation. The beef seemed passable, but not amazing. Dessert was OK. There were some hits, some mehs and some misses but for the price point I expected there to be more hits.